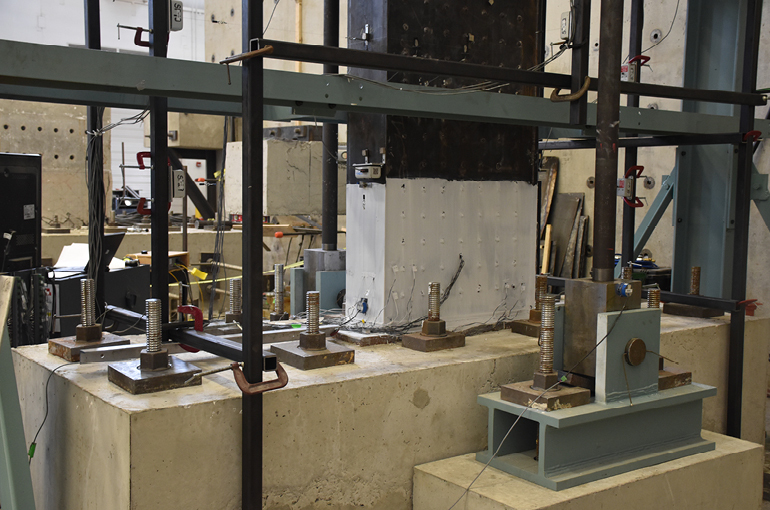 A new, composite shear wall system is being explored in this ground-breaking research at Purdue University and the University at Buffalo. 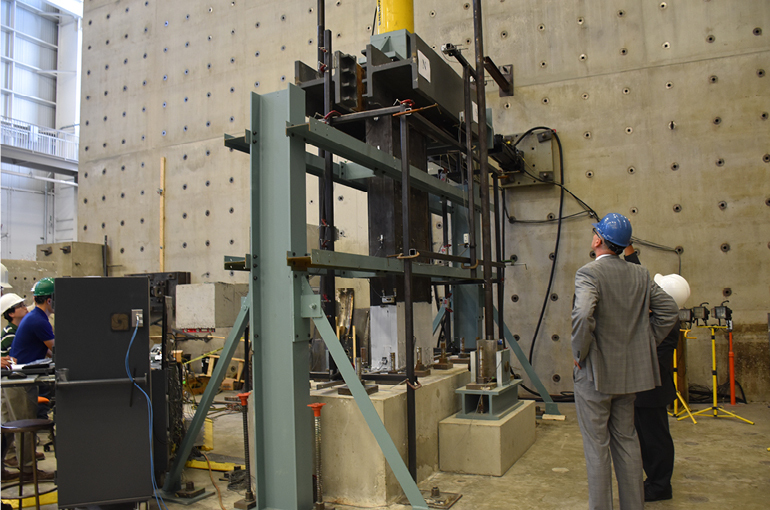 The innovative shear wall system employs two steel plates connected by steel cross ties that are then filled with high strength concrete. 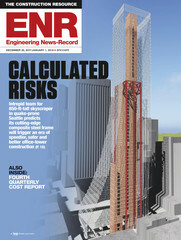 The shear wall system is free of traditional rebar reinforcing. 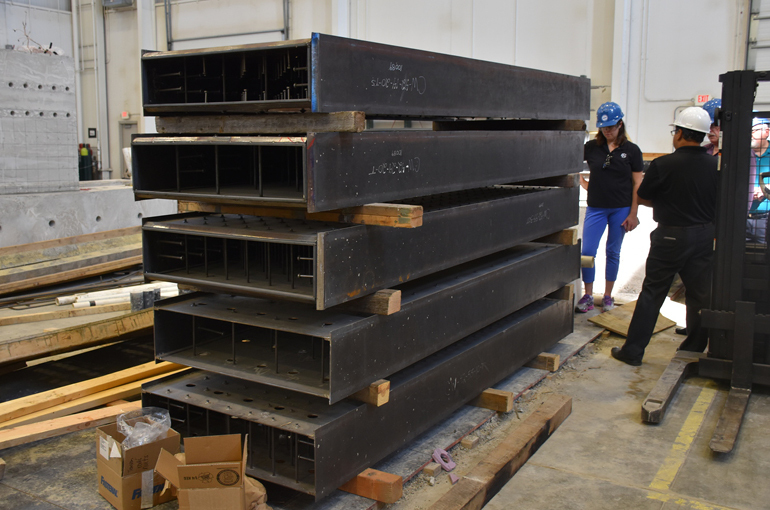 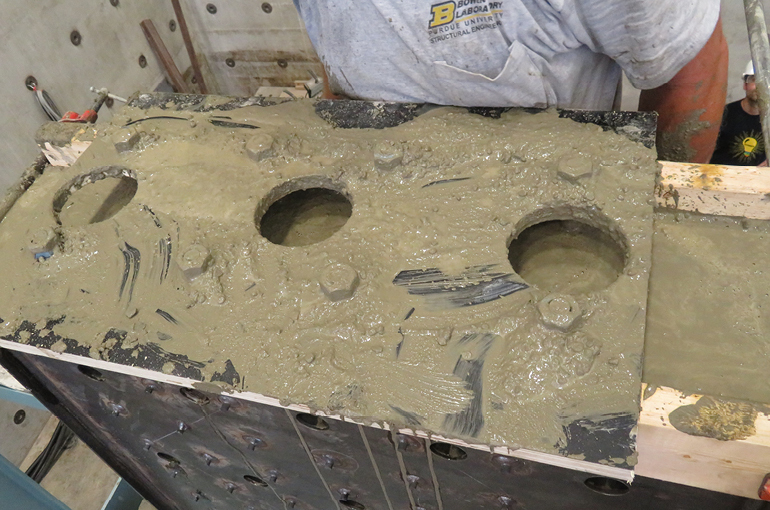 The Bowen Lab at Purdue University is testing six, one-third-scale planar specimens of the composite steel plate shear wall systems as part of Phase 1 of the research program. 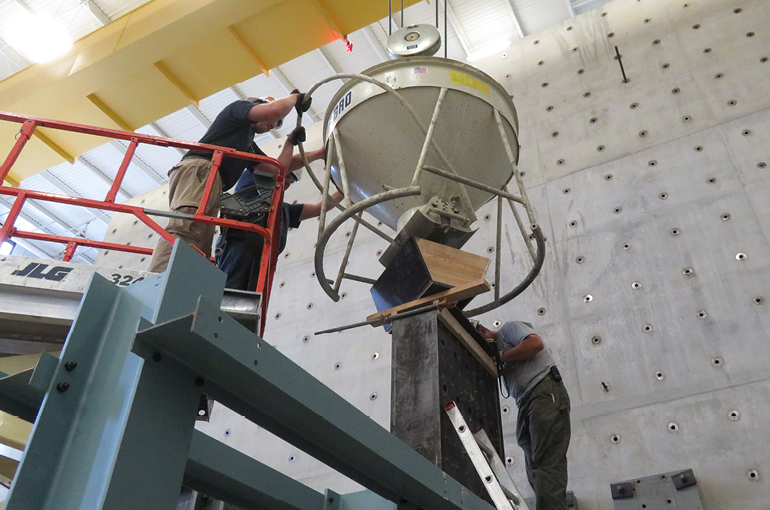 Phase 2 includes testing of non-planar wall segments (C- and T-shaped modules) with Phase 3 testing composite shear wall systems with coupling beams. 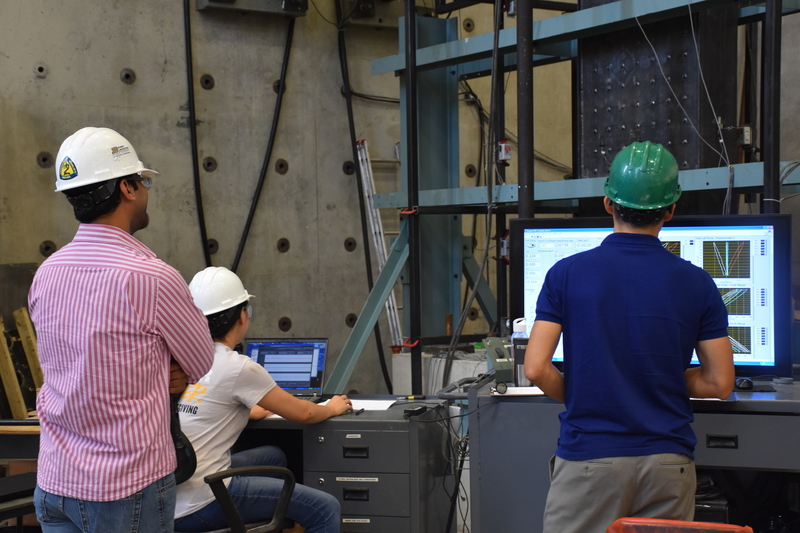 The focus of this project is twofold: to generate data-based numeric models that can be used to develop wind and seismic provision, and to gain insight into the performance of various detailing layouts. 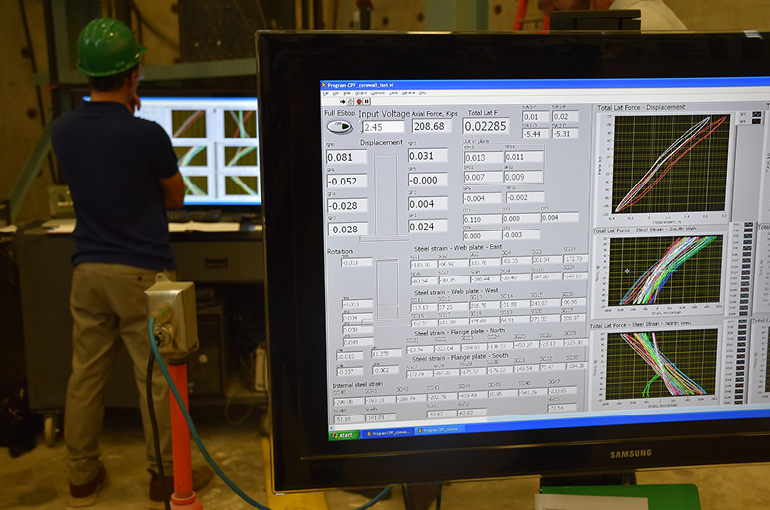 Brian Morgen, Ph.D., P.E., S.E.